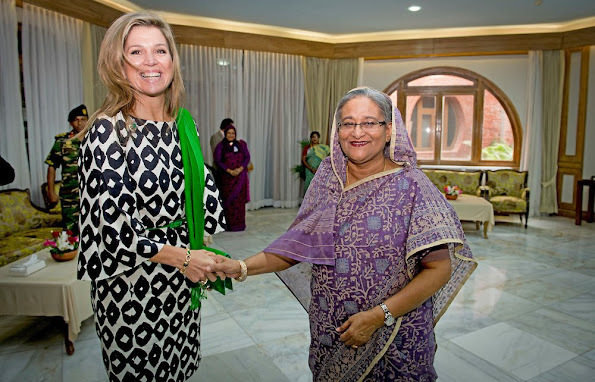 Queen Maxima of The Netherlands meets with President Abdul Hamid, Prime minister Skeikh Hasina, Finance Minister Muhith and Telecommunications minister Tarana Halim at Gonobhaban Palace on November 18, 2015 in Dhaka, Bangladesh. 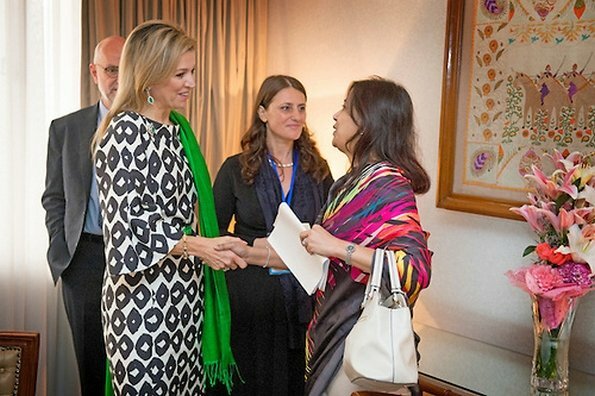 Queen Máxima visits at the invitation of Bangladesh and as a special advocate of the Secretary-General of the United Nations for inclusive finance for development. Now her hair looks better! But she's not really there yet. 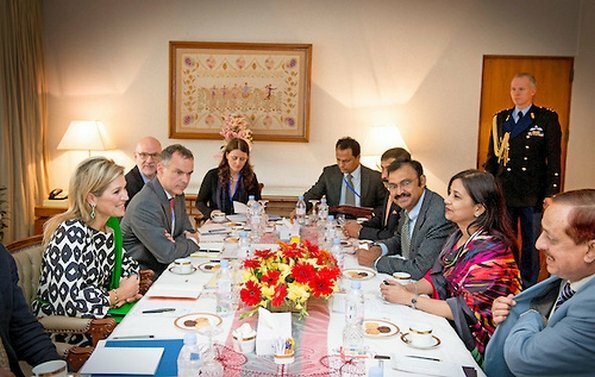 Maybe because she was sick, but she looks a lot older and not very well put together lately. Maybe she should stay home with her daughters and rest for a while.